Our Price $14.99 – Available now! The follow-up/companion album to A Bigger Celebration, which is called A Live Celebration: Kobe, Japan, was released on January 14, 2014. This album is also available on our store page. A Bigger Celebration is Matt’s most ambitious release to date. It was recorded over the course of three days in Boston. The album is about “having fun,” and it chronicles some of life’s most wonderful moments. Beach vacations, birthday parties, rock concerts and travel experiences are all depicted through the spontaneity and language of music. 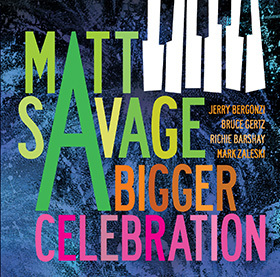 A Bigger Celebration is Matt’s first album to include electronic keyboards. Boston-area jazz greats Jerry Bergonzi (tenor sax) and Bruce Gertz (bass) join him in the studio, along with drummer Richie Barshay (who has toured with Herbie Hancock and Chick Corea). Mark Zaleski appears as a special guest on two tracks, playing both alto and soprano saxophone. 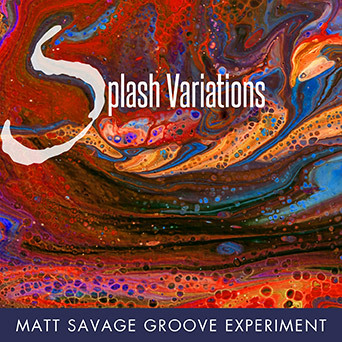 Ten-time Grammy-winner Tom Bates partnered with Latin Grammy-nominated John Weston at Futura Productions to provide the engineering; Grammy-nominated Jonathan Wyner produced and provided mixing and mastering. A Bigger Celebration is a musical representation of becoming a young adult, with a release date not long after Matt’s 21st birthday. It’s the kind of jazz album you can play in the car on the way to a party, with the volume turned up and the windows down. It’s wild and fun, but in the end, it’s an affirmation of all the great things in life. Different musical styles and sounds are represented, but the acoustic piano ultimately takes center stage. 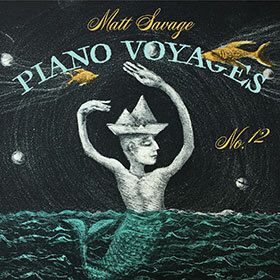 A Bigger Celebration is Matt’s first release in three years and it comes after a very productive year of composing. It’s Matt’s most autobiographical work.